Mailchimp gets a healthy dose of positive publicity. PCMag says it’s an “excellent starter service.” Top Ten Reviews says they are “one of the best email marketing services available.” Are these reasonable claims? Let’s take a look. 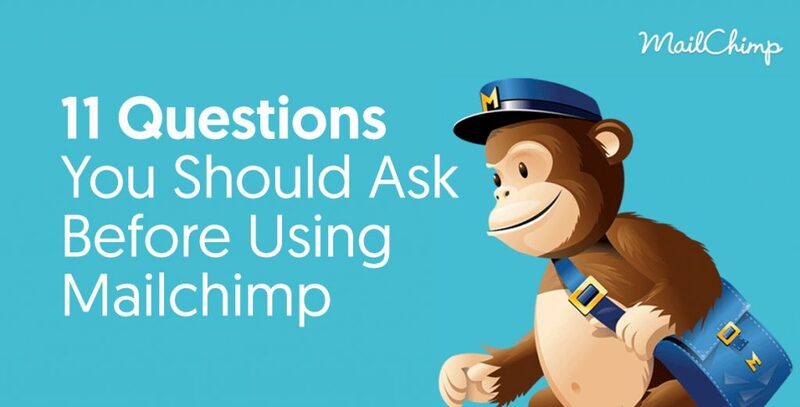 Here are 11 modish questions about Mailchimp. What is Mailchimp’s Competitive Advantage? Mailchimp presents data in a simple way. It’s easy to see your opens, bounces, subscriber behavior, and more. Additionally, they provide a robust offering, the Forever Free Plan. This plan allows you to send up to 12,000 emails a month for free (as long you have 2,000 subscribers or less). It’s an amazing deal. Aweber, a prominent rival, makes you pay a minimum of $19 a month (although they do offer a free 30 day trial). 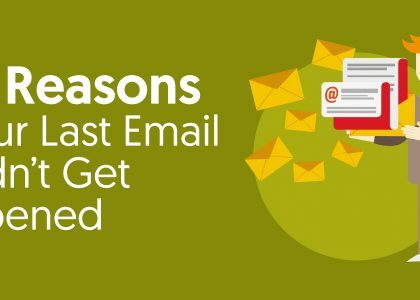 If you’re sending more than 12,000 emails a month, your email marketing is probably paying for itself. Mailchimp’s pricing scheme allows cash-strapped startups, solopreneurs, and small businesses to minimize risk. You don’t have to put in a credit card. You don’t have to sign a contract. You don’t have to worry about a free trial expiring. It doesn’t get much better than that. How Many People Use Mailchimp? Mailchimp is popular. They’re the market leader. More than 15 million people and businesses use Mailchimp. Every day these people send over one billion emails. No one sends more email than Mailchimp. They are a proven company that leads their industry. How is the Mailchimp Mobile App? The Mailchimp experience on mobile mixes the rough and the smooth. At the time of writing this article, there is a dearth of ratings on iOS. As a matter of fact, Apple won’t even show a rating for the Mailchimp App. This suggests Mailchimp recently tweaked their experience on iOS. On Android, there’s more feedback. The Mailchimp App for Android has a solid 4.1 rating. Consumers like the fact you can check opens, bounces, and other data through the app. You can’t create a campaign in the app. The absence of that feature bothers some people. Here’s another note of interest. Many old reviews are negative, complaining of bugs in the system. Mailchimp personally responded to many of these reviewers. After that, many of these reviewers left new positive reviews. This (and the probable revamp on iOS) suggests Mailchimp is working hard to improve their mobile app. The Mailchimp experience on mobile appears to be trending up. Is Mailchimp Easy to Learn? Mailchimp Offers a Lot of Useful Resources. Mailchimp is known for their light-hearted videos. Their YouTube channel has high-budget videos that poke fun of their name. For instance, they reference the words “jailblimp”, “mailshrimp”, and “kalelimp.” Mailchimp showcases the quirky personality of their brand in their marketing materials. Yet, Mailchimp takes learning seriously. Mailchimp has resources online they call their knowledge base. For example, they have a page titled “Getting Started with Mailchimp.” This page shows you how to take advantage of key features. Here’s a list of some of the tutorials below. Mailchimp is renowned for their knowledge base. Additionally, they’re the market leader. That means there are lots of tutorial videos on YouTube from 3rd parties. Best of all, Mailchimp is a company that focuses on startups and small businesses. One of their core principles is to make software simple. How Is Mailchimp’s Tech Support? If you want full-time tech support, you’re out of luck for now. According to Gethuman, Mailchimp doesn’t have live chat support 24/7. They’re available during standard business hours. The company is located in Atlanta, so you can expect East Coast hours. If full-time tech support is a driving factor, you should consider another company. Is Mailchimp Really Free For Beginners? Yes it is. You don’t even need a credit or debit card. As mentioned earlier, Mailchimp lets you send up to 12,000 emails a month for free. There is an exception. If you have over 2,000 subscribers, you’ll need a paid plan. As mentioned earlier, this is great for startups and small businesses? So, what’s the catch? Well, the people at Mailchimp have a shrewd pricing strategy. Their plan is to get you comfortable with their ecosystem. They know solopreneurs and startups that are pre-revenue are eager to save money, even if it’s only $19 a month. As these people build their business, they become comfortable with Mailchimp. When they’re profitable, they’d rather stick with Mailchimp than take the time to learn Aweber or another competitor. Honestly, it goes beyond that too. 95% of businesses fail in the first five years. Yet, these business owners don’t disappear. They try a new business. Or maybe they go to work for another startup, perhaps a startup that doesn’t have email marketing in place. What happens if that startup asks for suggestions for email software? That employee would recommend Mailchimp, the email software he is familiar with. Mailchimp really is free for beginners. Their free plan helps them grab exposure and gain popularity. How Does Mailchimp’s Pricing Compare to Aweber and GetResponse? Two of Mailchimp’s biggest competitors are Aweber and Getresponse. Let’s take a look at the prices of all three for unlimited sends. Here’s a breakdown of their prices. As you can see, the pricing is rather similar. At the higher levels, Mailchimp is more expensive than the competition. At the lower levels, Mailchimp tends to edge out the competition, even more so when you factor in the Forever Free Plan. What is Mailchimp’s Biggest Weakness? The most common knock on Mailchimp is the lack of an autoresponder with the Forever Free Plan. This knock is a bit trivial. That’s because Mailchimp’s most renowned competitors don’t offer a free autoresponder either. Still, it’s important to note. An autoresponder sends a sequence of emails to subscribers when they do something. For instance, let’s say you teach American businessmen Korean. At first, you give away a mnemonic chart that helps people memorize the Korean alphabet. Once they download that, they receive emails automatically. 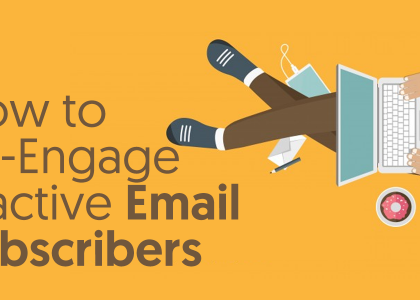 Your next seven emails are a self-activating campaign. They contain a series of lessons, anecdotes, and resources that help beginners improve their Korean. At the end, you offer them an invitation to purchase your $199 course, an offering ripe with features. Autoresponders are key to a strategy like that. The campaign above wouldn’t be a fit for your whole list. You can’t send those emails to everybody. If someone’s been diligently studying Korean for six months, beginner videos may turn them off. Autoresponders make it easy to send targeted messages that increase conversions. They are central to an effective email marketing campaign. They target people who take certain action, so they’re more personal. Mailchimp’s Forever Free Plan doesn’t have autoresponders. That means it takes a lot more work to reach these groups. You can technically do it with the plan, yet it’s more labor. How does Mailchimp Approach Spam? Mailchimp is serious about spam. They strictly enforce spam laws and the CAN-SPAM act. If they question the virtue of your list, if they think you didn’t get permission from subscribers, they will disable your account. They may even close it altogether. Omnivore is Mailchimp’s abuse prevention system. The point of Omnivore is to predict and stop bad behavior. Omnivore stops spammers before they start. What does Omnivore actually do? For one thing, it analyzes lists. For example, if you have too many negative results (like bounces), then a flag goes up. It also reviews content. That means it’s on the lookout for bad URL’s and questionable keywords in your copy. If your behavior is similar to a spammer’s, then you’re in trouble. Omnivore is constantly working in the background, scouring for suspicious activity. You need a healthy list. What do you think happens when your list is full of hard bounces? What happens when it is polluted with spam traps? What happens when complainers and inactive addresses are running amuck? If your list is in bad shape, you trigger Omnivore. You don’t want to send to an unhealthy list on Mailchimp. They are serious about spam. If you look like a spammer, you’re out. Email verification software is a helpful here. You can clean your list, and use it with more confidence. Is Mailchimp a Good Choice? Mailchimp sends more email than anyone else. They are market leaders that focus on simplicity. Their Forever Free Plan is a boon for small business owners. Their prices (particularly in the upper tiers) are slightly higher than the competition, but they are agreeable. They are a fantastic choice for small business, startups, and solopreneurs, that want to dive into the world of email marketing.